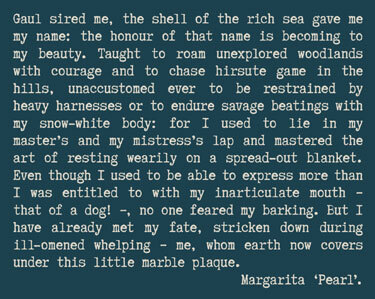 Today, I had the immense pleasure of seeing one of my most favourite inscribed Latin poems – the epitaph for Margarita (‘Pearl’), a lap-dog, born in Gaul, deceased in second or third century Rome. 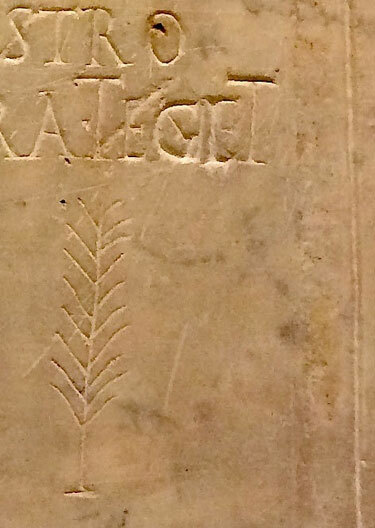 On the right-hand side, there is a palm leaf incised as an element of decoration. Unsurprisingly, this inscription has received a lot of scholarly attention. 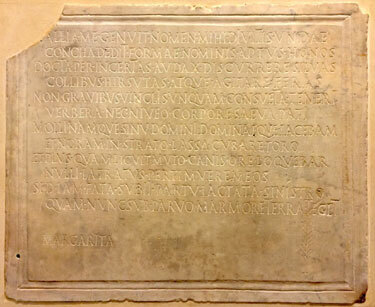 The inscription, as I said, is a decent-sized marble-slab (61 x 50 cm), beautifully prepared and carved. 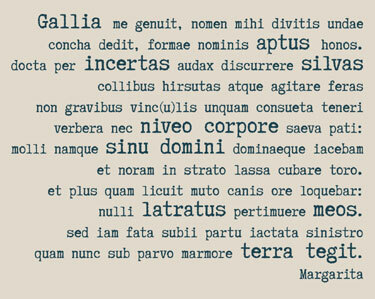 Margarita was an imported animal from Gaul (it is unclear as to whether this is where her owners picked her up or whether they bought her in Rome as an imported animal). In addition to being a lap-dog, she served as a hound for animal hunts, roaming woods and hills. From The Petrified Muse via Ratak Monodosico. 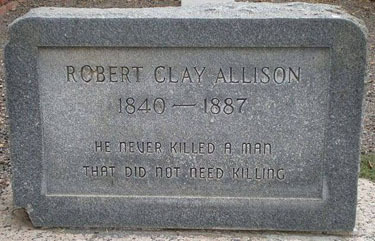 the Archives of Never Yet Melted in the 'Epitaphs' Category.